Ever hit a shot that landed near your opponent, or lose sight of both shots and not know if yours is the ball sat on the fairway, or the ball tucked deep into the rough? These Waterproof Pens are a convenient way to mark your golf balls for identification purposes whilst playing, avoiding confusion and argument over whose ball is whose. There are two pens in the package, one red and one blue. 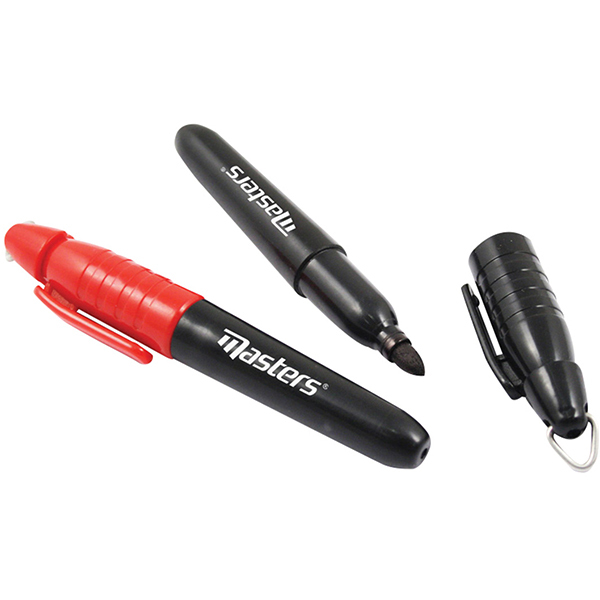 The Masters Pens will save you from arguments on the golf course. 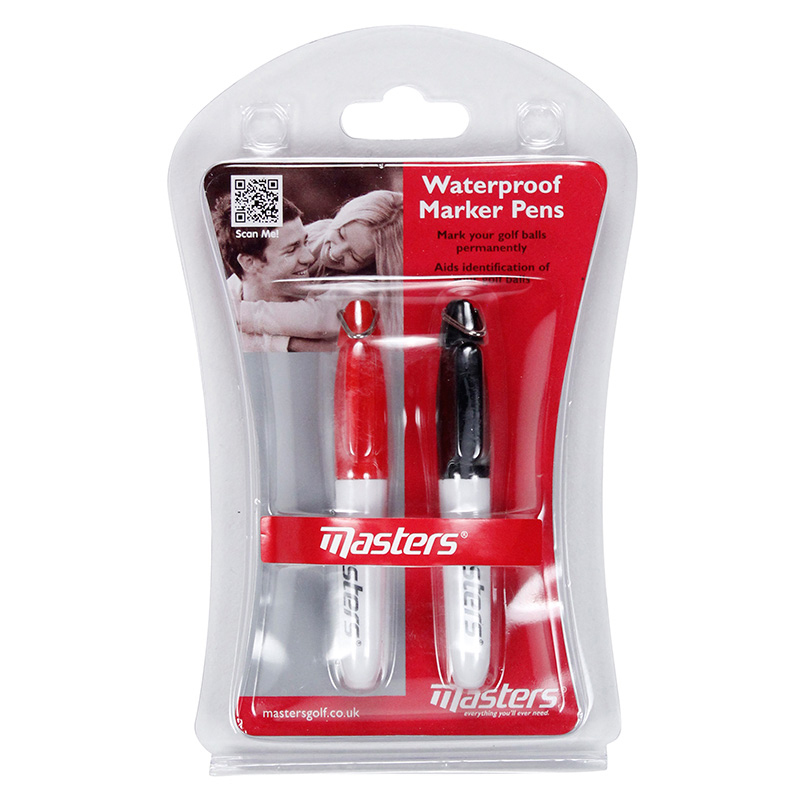 The use of these markers is not restricted to golf balls alone, they can be used to write on a host of other items from labelling sides of CDs or DVDs to metal surfaces or even stone/granite surfaced items. They are also perfect for leaving your signature permanently on a colleagues leaving gift so they don’t forget you or making your kids school items so they don’t get mixed up with other students items.